Apologies for the lateness of this page. I literally finished it just a few minutes before uploading it. However, I think the wait is worth it, because I'm very pleased with this page. I've always loved Angel Island and found Knuckles to be a fascinating character, which is why he's played such a big role in my comic since practically the beginning. It shouldn't come as a surprise to anyone that he's the first Sega character to make a return. 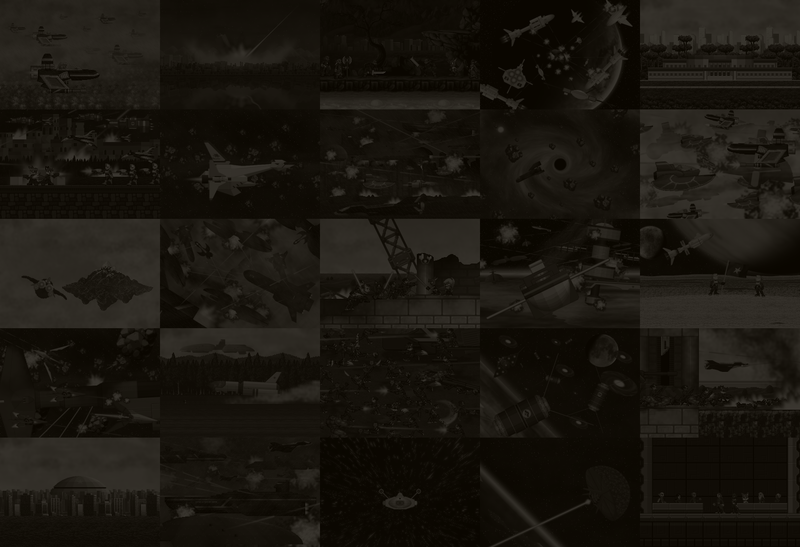 Now, the reason this page was so late is because of Angel Island. I could have just drawn the island, but I have an overwhelming need for consistency in the scenery I create for this comic, and I'm not that good at drawing that kind of thing completely free hand. So, instead, I created a 3D model of Angel Island to serve as a guide for drawing it. Yes, the entire island. Fully sized too. Not that an official size has ever been given by Sega. The closest thing to it was something around 50km across, according to the Archie Comics Knuckles the Echidna series. Well, this is not based on Archie's version, so instead, it's about 20km across and the highest mountain peak is around 3000 metres above the island's edge. I didn't create this model entirely out of whole cloth, however. If you've been paying attention throughout this chapter, you may have spotted a map of Angel Island appearing on some Imperial computer screens. That map goes back to the sprite comic days and I used it as the guide for the island's layout, remaining extremely faithful to it, in fact, though I made sure to add visual cues for the Launch Base, Marble Garden, and Sandopolis zones -- mostly for the fans -- which I had not included on the map previously. I am very pleased with how that model turned out and I got it done in reasonable time, so I thought I might just get this page up on time. But then I realised I needed to create the Master Emerald shrine and, not being one for half measures, I went and created the entire Temple of Chaos from Sonic Adventure (yes, I know something was only ever called that in Sonic the Comic, but I think the name fits perfectly well for the structure featured in Sonic Adventure where the Chaos Emeralds were originally kept). Not only did I create the temple, I created the original, undamaged temple, and then systematically went about reducing it to the modern day ruin you see in Sonic Adventure. So, I actually created the temple twice. 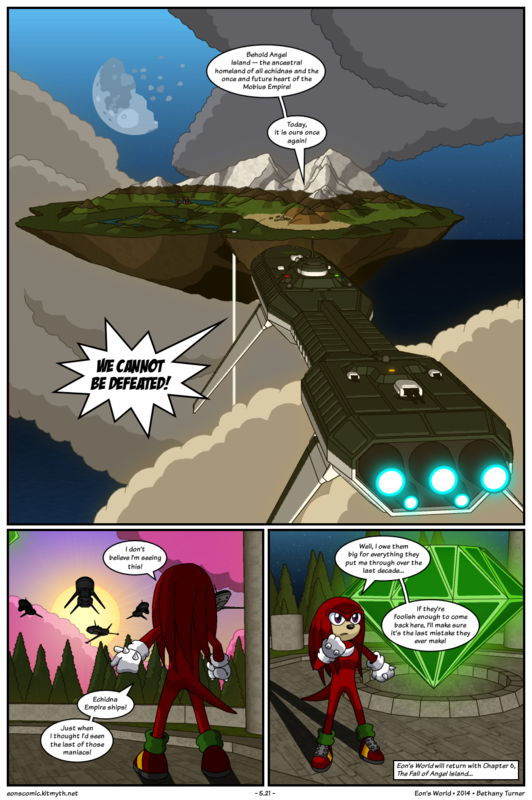 And then, ironically, I only show a very tight shot of Knuckles on the altar of the Master Emerald on this page. Sigh. Still, the whole thing is there now when I need it -- including the undamaged temple from three thousand years ago, if I ever want a flashback scene! Anyways, that's the end of chapter 5. Expect chapter 6 to begin in February -- probably late in the month. I have a lot of preparation to do for that chapter, so I will not be idle by any means.